In a medium bowl, add chia seeds. 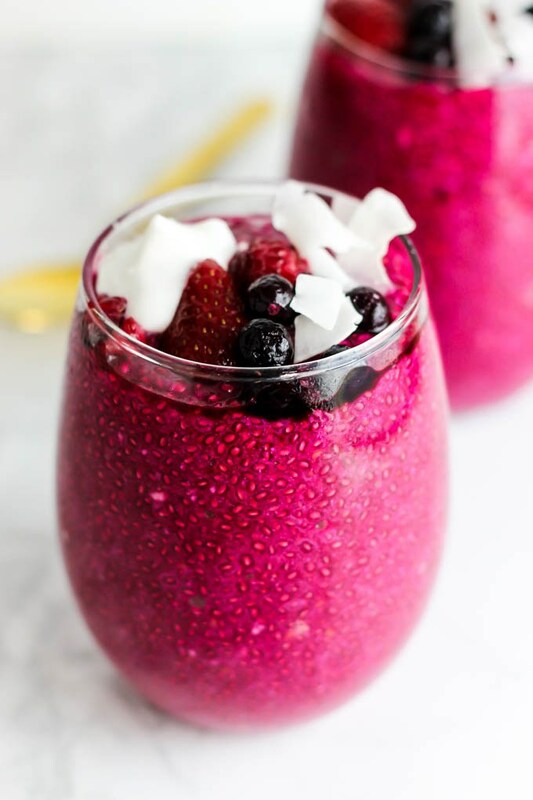 In a blender or food processor, add non-dairy milk, strawberries, beets, and vanilla. Blend until completely smooth. Slowly pour the liquid mixture into the bowl with the chia seeds while stirring. Stir until throughly mixed. Place in the fridge and let it sit overnight, or at least 4-5 hours. When ready to eat, stir in maple syrup; top with desired toppings such as strawberries, flaxseeds, coconut, or granola. Recipe from Emilie here - check out more amazing recipes where she shows how eating real, whole foods can and should be simple, enjoyable, and absolutely delicious. More recipes at Emilie Eats, tag your recipe up with #emilieeats.